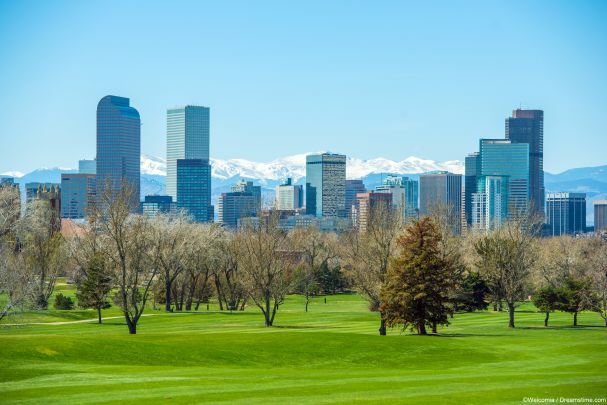 Denver is famed around the world as the home of the Bronco’s, the hub of the 19th-century gold rush, and the gateway to the Rocky Mountains. But now it is developing another reputation; for being somewhere it is impossible to post on social media in private. That’s because it has been revealed that the Denver Police have been spending huge sums on surveillance software which indiscriminately monitors and records social media activity in the areas where it is employed. The software in question comes from a company called Geofeedia Inc., and takes the form of location-based platform which can intercept the online posts to more than a dozen of the most popular social media sites, including Facebook, Twitter, Instagram, Periscope, Vine, Flickr, and YouTube, aggregate them, and retain them for future use by the police. The software is not unique. Similar tools are used in other cities in the USA. But Denver has been caught out using confiscated funds to pay for the service, And their bill amounts to a whopping $30,000 a month. The source of the funding for the software means that approval will have been given by the Denver Police Chief, Robert White himself, according to documents seen by the Daily Dot. Despite this, the Denver Police refused to comment on the use of the tools and refused to release further documents about it. However, other police forces have gone on record to defend the use of such software in the past. They have argued that it is often able to provide information which allows them to identify drug dealers, guns in sensitive locations (especially schools), and also witness to crimes who may help them to solve it. No obvious problems with that. But the key word in this article so far is ‘indiscriminate’. Because tools such as the ones Geofeedia are providing to the Denver Police work by simply hoovering up every single social media post from everyone. Whether you are guilty or innocent of an offence; a direct eyewitness, or half a city away; all of your social media content in Denver is collected, analysed and stored by the police. Jay Stanley, who works as a senior policy analyst at the American Civil Liberty Union (ACLU) told the Daily Dot it was a bad idea to permit the American police to engage in mass monitoring of the social media posts of every US citizen. He also questioned whether the use of such software might be considered a violation of the First Amendment which allows for freedom of speech, suggesting that if the police are monitoring social media, that may cause people to self-censor what they say for fear of potential repercussions. Stephanie Lacambra of the Electronic Frontier Foundation (EFF) went even further saying that the use of such tools was “incredibly troubling for the preservation of individual privacy.” In particular, she highlighted the risk of abuse of the data collected, both by the police themselves and others who may be able to access it. Whilst it is the Denver Police who have been caught out using the software, they are far from alone. The Baltimore Sun newspaper has reported on their own police forces use of Geofeedia software, and it is implausible to think that these two cities are alone. The US public has been given enough reason to doubt their online freedom following the Edward Snowden revelations. With revelations such as these, they will be beginning to wonder not if their online data is private, but just how many government agencies are watching them online. It is little wonder that more and more are turning to privacy tools such as VPNs to help ensure their online content remains private. It will be no surprise if there is a spike in users in the Denver region following this report.